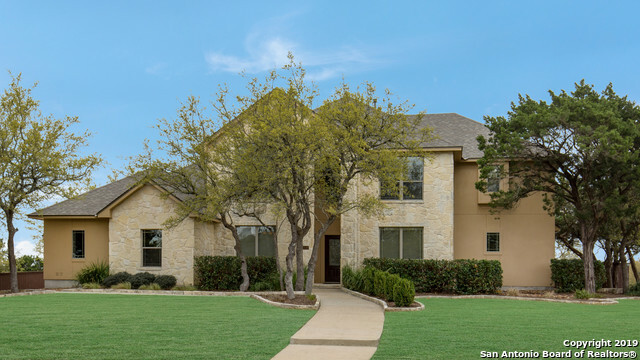 All CLEMENTSON RANCH homes currently listed for sale in San Antonio as of 04/26/2019 are shown below. You can change the search criteria at any time by pressing the 'Change Search' button below. "Come home to this oasis of peace; sitting on over 1/2 acre, boasting a secluded in-ground swimming pool, this Whitestone Custom gem will leave you breathless. 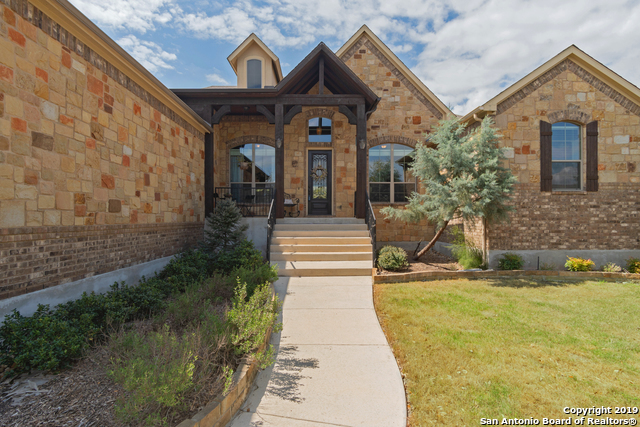 Centrally located, this home features an open floor plan, custom theater, soaring ceilings, built-ins, granite, gourmet kitchen, indoor and outdoor surround sound, upgraded flooring, and it overlooks a stunning back porch equipped with an outdoor kitchen. This home is calling, don't miss your chance to own your very own piece of paradise." "Welcome home to this immaculate 4 bed & 5 full-bath residence sitting on over half an acre. The outdoor-areas offer an abundance of space & is a true must-see. The back-patio contains a built-in premiere grill and bar area, as well as, a fireplace. Inside the home offers ample storage & the first floor contains all 4 bedrooms, including the master-suite. The upstairs flex-space with a wet bar and full-bath gives tons of options like a media room, playroom, bedroom, etc. Check out the 3D model & "
"SHOWS LIKE A MODEL HOME! 5 BR (Master BR & 2 Guest Suites), 4 bath home situated on 1/2 acre+ lot w/in the sought after gated community of Clementson Ranch. The spacious foyer warmly welcomes all who enter. Ample natural light brightens this wonderful high ceiling open floor plan. Fireplace.Kitchen boasts large granite top island,granite counter tops,custom cabs,SS appliances,gas cooking. Study/Office. 2nd living area w/ wet bar/fridge. Media Rm. Covered patio. 3-car garage. No city tax. Smithso"
"What a wonderful home with a fantastic outdoor space just in time for summer! This 4 bedroom home has 2 bedrooms downstairs and 2 bedrooms upstairs. The master bedroom has wood flooring and a master bathroom that welcomes you with barn doors. The secondary bedroom downstairs has an attached private bathroom. The upstairs gameroom has a walkout balcony with amazing view. 2 large bedrooms upstairs with a shared hall bath. 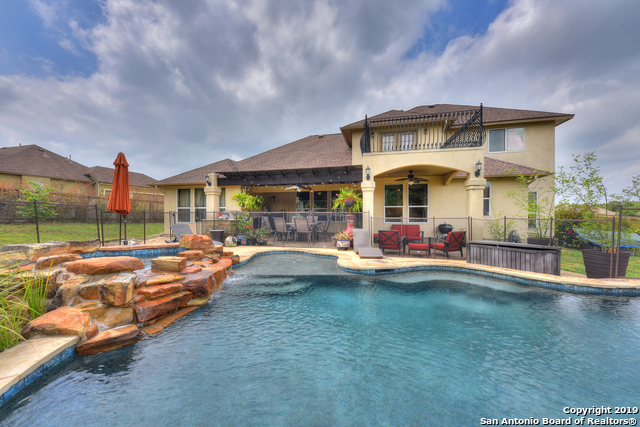 The backyard has a large covered patio, pool, hot tub and an outdoor kitchen"